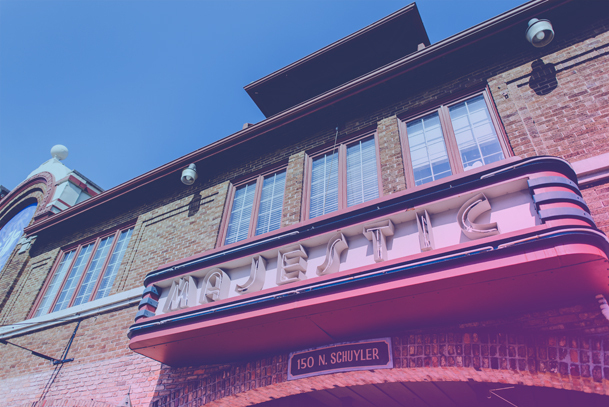 For more than 100 years, The Majestic in beautiful downtown Kankakee, Illinois has entertained and enthralled guests. The Majestic opened its doors in 1912 and showcased a host of well-known national and global vaudeville acts. These performances served as the cornerstone for entertainment in the city of Kankakee, surrounding area and even region. Over time, the venue began a second life as a movie theater, first featuring silent films and later the biggest blockbusters of the golden age of theater. Those visiting the theater enjoyed its rich, vibrant styling and incredible acoustics. Today, with its rich history, and art-deco styling, The Majestic is again becoming the most sought after venue in the Central Illinois region, offering the perfect opportunity to host weddings, corporate events or social events in a space rich and robust with history and charm. Let’s get started making something memorable. The team at The Majestic prides itself on crafting the perfect event to bring your dream to life. We are experienced in asking the right questions, fine-tuning the details and taking care of those last minute adjustments, so you can enjoy yourself.